From the beginning, BOOM! Box has had one mission in mind - to bring original, unconventional characters and stories to life in the most gleeful way possible. The BOOM! 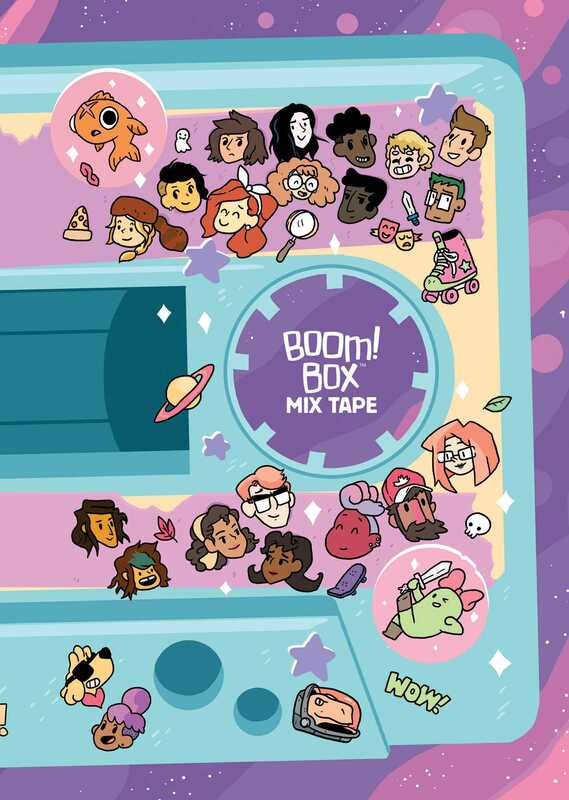 Box Mix Tape is an eclectic mix of comics that showcases beloved characters from established BOOM! Box series as well as original tales from up-and-coming writers and artists. Features work from critically acclaimed creators John Allison, Ryan North, James Tynion IV, Ngozi Ukazu, and many more, along with new stories from BOOM! Box favorites Lumberjanes, Giant Days, Cyanide & Happiness, Goldie Vance, and The Backstagers!